Holašovice is an exceptionally complete and well-preserved example of a traditional central European village. It has a large number of outstanding 18th- and 19th-century vernacular buildings in a style known as 'South Bohemian folk Baroque', and preserves a ground plan dating from the Middle Ages. Holašovice est un exemple exceptionnellement complet et bien conservé de village traditionnel d'Europe centrale, contenant un grand nombre d'édifices vernaculaires de grande qualité des XVIIIe et XIXe siècles dans un style dit « baroque populaire du sud de la Bohême », et disposés selon un agencement datant du Moyen Âge. تشكل قرية هولاشوفيتسه نموذجاً فريداً متكاملاً ومحفوظاً للقرية التقليدية في اوروبا الوسطى، وهي تحوي عدداً كبيراً من الأبنية المحلية الرفيعة المستوى التي يعود تاريخها الى القرنين الثامن عشر والتاسع عشر وفق طراز يعرف "بالباروك الشعبي الخاص بجنوب بوهيميا" والمبنية حسب تنظيم يعود الى القرون الوسطى. Голешовице – это исключительно целостный и хорошо сохранившийся образец традиционной центральноевропейской деревни. Здесь находится много выдающихся сельских зданий XVIII-XIX вв. в стиле, известном как "южно-чешское народное барокко", а также сохранилась средневековая планировка. Holašovice es un ejemplo excepcionalmente completo de aldea tradicional de Europa central en admirable estado de conservación. Posee un gran número de edificios notables de los siglos XVIII y XIX construidos en el estilo autóctono denominado “barroco popular del sur de Bohemia”. La aldea ha conservado su trazado original que data de la Edad Media. Holašovice is een goed bewaard gebleven traditioneel Centraal-Europees dorp. De nederzetting werd opgericht in de periode van grootschalige kolonisatie van de grensregio's van Bohemen in de eerste helft van de 13e eeuw. Het historisch reservaat bestaat uit het oorspronkelijke dorp: 23 boerderijen die beschermd zijn als architecturale monumenten, hun schuren, stallen en tuinen, ook wel Tofts genoemd. De plattegrond dateert uit de middeleeuwen. De huizen dateren uit de 18e en 19e eeuw. De gebouwen zijn ontworpen in een stijl kenmerkend voor de regio, de ‘Zuid-Boheemse volksbarok’. The Holašovice Historical Village is situated in the South Bohemian Region of the Czech Republic, 17 km west of České Budějovice and 24 km north of Český Krumlov. The village includes twenty-three farmsteads which are placed around a rectangular village green, with the chapel of St. John of Nepomuk, a cross, a forge and a small fish-pond. Holašovice is an exceptionally complete and well preserved example of a traditional central European village, containing a number of high-quality vernacular buildings from the 18th and 19th centuries. Almost all the farms are built according to the same pattern; usually, they are U-shaped with a farmyard in the middle. The gables facing the village green and their stucco decoration are in a style known as South Bohemian “Folk Baroque”. Almost always, they feature the year of foundation of the house as well as some decorative elements; all of it is painted in a variety of colours. In fact, on the facades, Holašovice master-builders replicated decorations inspired by manorial buildings of Bohemia and Austria. In addition to large farmsteads, the Holašovice Historic Village includes several farming houses which are much smaller. The small chapel of St. John of Nepomuk features a high bell-shaped facade. It has a gable roof and a hip roof on one side, as well as a lantern-turret on four pillars with a bell. The interior is vaulted and closed by two lunettes. The village forge and the blacksmith's house are single-storey buildings with a gable roof. The forge features a typical arched opening overlooking the village green (now closed since the building is presently inhabited). Criterion (ii): Holašovice is of special significance in that it represents the fusion of two vernacular building traditions to create an exceptional and enduring style, known as South Bohemian “Folk Baroque”. Criterion (iv): The exceptional completeness and excellent preservation of Holašovice and its buildings make it an outstanding example of traditional rural settlement in central Europe. All the key elements which the Outstanding Universal Value of the Holašovice Historic Village is based upon are situated within its boundaries. The boundaries and the size of the property are appropriate. The historic village has a stabilised structure inside which no change is planned. Partial improvements that have been made in various buildings have had only small impact on them. As regards to the volumes and details of the new buildings, there was a consistent respect for tradition. No planned pressure exists concerning new constructions that could jeopardize the visual integrity of the conservation area, within its boundaries. The buffer zone is delimited but subject to threats coming from potential urban development that might have a serious impact on the visual context of the property and that could also jeopardize the visual integrity of the protected area as a whole. The village of Holašovice is a perfectly preserved and exceptionally complete example of a central European village built on a traditional ground that includes a large number of 18th and 19th century highly valuable vernacular buildings. The village has kept its original medieval layout, land parcelling and its historical appearance. Hence, the authenticity of the layout and of the land parcelling of the village, which have been stabilized in the 19th century, is very high. This assertion is documented by the early maps produced by cadastral surveys. A number of the individual farmsteads have preserved a substantial measure of authenticity in their internal layouts and external features. However, others have undergone radical changes, especially to their interiors, which have severely reduced their overall authenticity; this is especially applicable to the buildings used as retirement homes. The Holašovice Historic Village is designated a village heritage reservation under Act No. 20/1987 Coll. on State Heritage Preservation as amended. Twenty-one farmsteads around the central village green and the forge and the blacksmith's house in the centre of the village green are designated cultural heritage assets and protected under the Act mentioned above. Most buildings that are part of the property are privately owned. In municipal ownership there are: farmstead No 18 (village pub), the forge and the blacksmith's house No 23 and house No 43), the chapel and other religious objects (crosses, sanctuaries). The management plan of the property is in effect and is updated regularly. The property management is a responsibility of the municipality of Jankov whose administrative powers cover Holašovice. This municipality provides the maintenance, functioning and development of the property. Because of the size of the site and of the complex structure of the properties, individual maintenance schedules have been set. The buffer zone has been defined in accordance with applicable regulations. It is identical to the protective zone of the village heritage reservation. However, the potential urban development might have an impact on the visual context of the property with the surrounding landscape. Several measures, which are integrated in the actual development plan, were taken to mitigate this risk. Precondition for new construction in major development areas is the establishment of regulatory plans, zoning plans and studies, which will determine detailed regulations in these localities. Financial instruments for the conservation of the property namely include grant schemes and funding through the programme of the Ministry of Culture of the Czech Republic allocated to the maintenance and conservation of the immovable cultural heritage, as well as financial resources allocated from other public budgets. 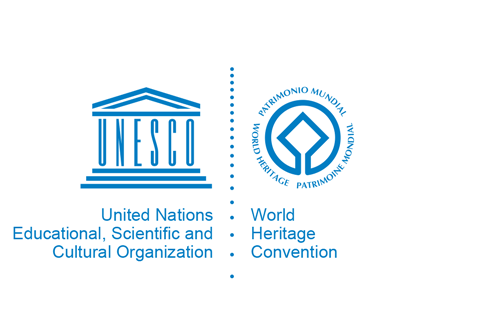 Since 2000, annual monitoring reports have been prepared at the national level to serve World Heritage property manager, the Ministry of Culture, the National Heritage Institute and other agencies involved.